Airtel today announced that it has chosen Ericsson India, Nokia Siemens Networks and Huawei Technologies as network partners to launch 3G Services in India. These partners will plan, design, deploy and maintain 3G HSPA Network in Bharti Airtel 3G license circles. Further strengthening its relationship with Ericsson, Bharti Airtel has awarded majority of the 3G License Circles to Ericsson India. With this, Ericsson continues to be Bharti’s largest Network Partner across 2G and 3G circles in the country. On the same lines, Bharti has also expanded its relationship with Nokia Siemens Networks, which would manage Bharti’s 3G Network in 3 circles across India. 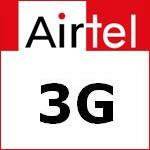 Bharti Airtel has also introduced Huawei Technologies as the 3rd partner for offering 3G services in a few circles. Airtel’s 3G services, enabled by our partner’s expertise, will usher in a new era of unique life style products. The offerings will be specifically targeted towards mobile broadband, given the enhanced speed and user experience which the 3G technology enables. The partners will play a catalyst role in enhancing the customer experience and the data usage habits in the country. In addition to being HSPA+ (High Speed Packet Access) ready from launch, the 3G network will support world class user data speeds and enhanced mobile broadband user experience. High Speed Packet Access plus enables high peak user throughputs which are multiple times higher than those supported in current 2G networks.